Twenty years ago, Jeremy Moon launched Icebreaker from his native New Zealand. With next to no experience in the apparel game, his goal was to make low-impact, high-performance apparel from renewable, natural sources. Icebreaker has since evolved to supply over 5,000 stores in 44 countries. Now the brand’s Creative Director, Moon talks about balancing his boardroom duties with his love for hiking, traveling and skiing. Is it hard to balance boardroom time versus your outdoor pursuits? It feels natural. My philosophy is nature every day. It doesn’t have to be a big deal, as simple as a walk on the beach with my kids. Any activity in nature balances my mind and spirit, and lets me recharge. Creative work flows from that naturally. I love being in the mountains on a New Zealand merino station such as Hawea Station. Basically anywhere there are mountains, the sea or a forest. We travel as a family a lot and are always exploring new places. I’m a big fan of Airbnb. 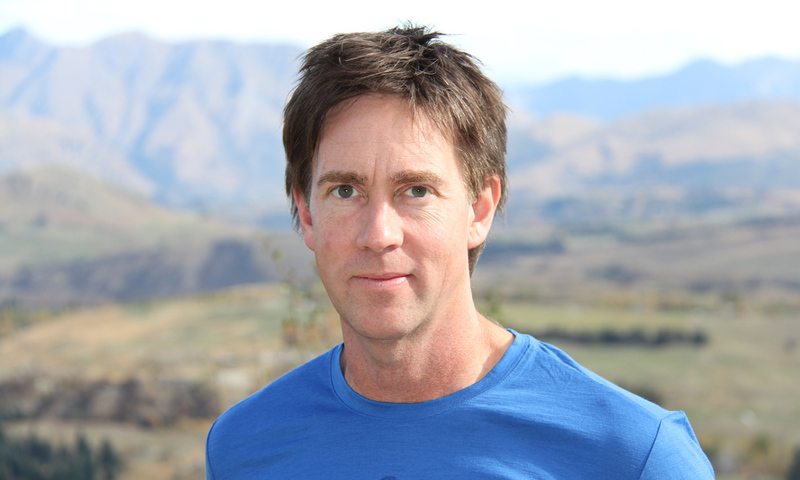 Why the decision to keep operations in New Zealand? I feel like a global citizen but I’m also a passionate New Zealander. The people are kind and quirky, the nature is stunning. Similar to Canada. If you could share a chairlift with any person in the world, who would it be? Probably my wife. She’s not famous, but she’s brilliant. If she wasn’t available then a creative leader like Paul Smith. Who are some pioneers in the business world you respect? I admire innovators like Jake Burton because he is a category creator, and the company is an expression of his values. Most incredible dinner guests you’ve had? Deepak Chopra. Sweet, enquiring, hilarious and genuine. I’m inspired by building something I care about and by working with amazing people across many cultures. I’m inspired by making a product that our customers will love, and giving them a superior natural alternative to synthetics. I love getting feedback, that’s really cool. Had you been concerned by the environmental impact of outdoor apparel prior to launching Icebreaker? I was just stunned that the whole outdoor industry was about wearing plastic synthetics against your skin. It was such an irony; explore nature wearing plastic. We’re about offering a high performance natural alternative to synthetics. What are some of the other issues with synthetic fibers? It’s not just about using unnecessary petroleum for clothes. Plastic synthetics affect your bio-electrics. They hold an electrical charge which I believe affects your nervous system. Icebreaker is null, like the earth, and it breathes and resists odour naturally, without chemicals. Was there hesitation when you went to market? Twenty years ago, sustainability wasn’t exactly on the forefront. People thought Icebreaker was a stupid idea for the first five years, but then we slowly caught on. Now we supply the top 5,000 outdoor stores across 44 countries. The consumer is always right. How many sheep does Icebreaker shear a year? 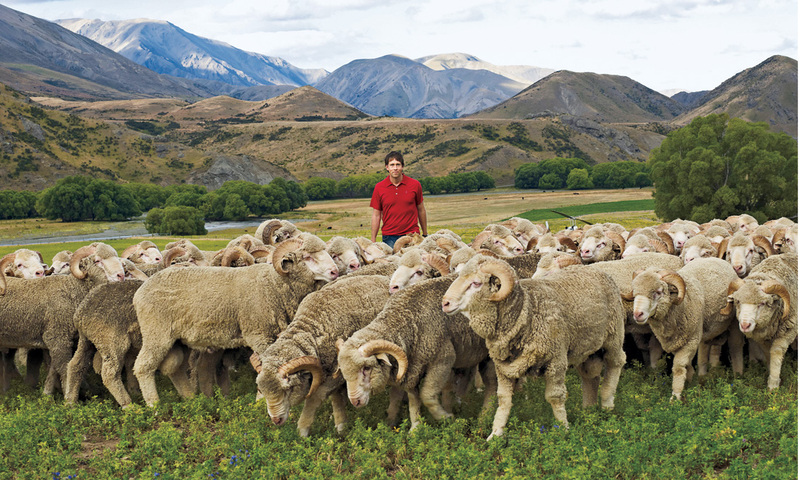 We work with around 180 families who run merino on more than 2 million acres of New Zealand’s Southern Alps. 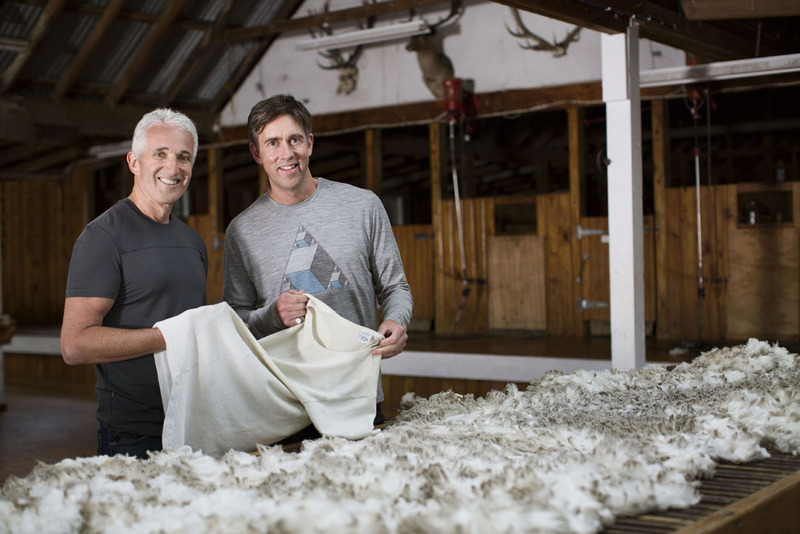 There are approximately 500,000 merino that are part of our team. A business is about a group of talented people with a common goal and values. It’s not about the founder. The founder sets the path but the people are the company. Where do you see the the sustainable apparel business headed as a whole? I’m excited that sustainability isn’t fringe any more, it’s central to how we live. I love that my kids are brought up to be environmentally conscious. There are more people and companies now with values that are aligned with companies like Icebreaker, and we are proud to be part of this forward movement for humanity. My Nest is Best (P.D. Eastman). It was a book for my three-year-old son. It reminded me that even though we explore the world looking for perfection, often what’s really great is back where you started.